Written by gabriele on 13 February 2018 . Posted in Wedding Galleries. Its always an opportunity for every photographer to diversify his experience, and shoot various places. I felt extremely thrilled and humbled to be chosen by this beautiful couple, Marc and Lucy from Orange County, California. I had the opportunity to shot the honeymoon of the amazing due in Rome. Its always pleasing to know that once they get back to their home, they will have awesome memories shot by a professional photographer for a honeymoon in Rome. There can be few to many reasons that will emphasize that Rome is the best place for the honeymoon. Have a look at them one by one. It has personal and poetic augments that make it equally amazing and fascinating for the Italians and the foreigners. Rome has been declared as the first metropolis that has the amazing world history and possesses the amazing cultural and artistic heritage. There are many places that are worth seeing in Rome, and to make it more adventurous like it has the open-air museum that will exhibit the amazing photoshoot and gallery of yours. Rome is the birthplace of the Romance language and the Christian religion. Has originated from it, people often call it the heart of the Christian religion. The most amazing and enchanting fact about the Rome is Trevi Fountain, that often newlyweds and couples find fascinating, where you can throw the coin and make a wish. Rome is called the eternal city, it has many amazing and luxurious hotels, where couples can spend their quality time together. 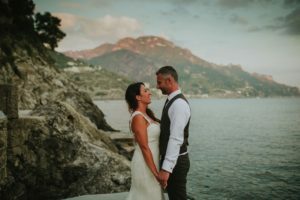 To make your moments more memorable you can get it photographed by the professional photographer of honeymoon in Rome. The Rome has been celebrating the fiftieth anniversary as they have the vast variety of amazing art collections, that creates an amazing link up the Rome with the past culture and societies. These things become more beautiful and interesting once you have your partner with you. The art and architecture work that has been done exhibit the Italian style, and therefore people all across the world join it to know more about the culture and the values of Rome. Its often said it does not matter that where you, but with whom you go and you feel more pleasant to spend your holidays. So wherever the destination, the couple should feel and be in a perfect relationship. But Rome is undoubted will have the places that are worth watching, and for that, they must have a professional photographer for a honeymoon in Rome, and I feel fortunate and humbled to be chosen multiple times for the destination weddings and honeymoon. 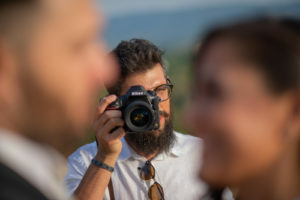 Malagoli Wedding Stories - Wedding Photographer in Italy Copyright © 2017. All rights reserved.